Argentina's National Institute of Industrial Property (INPI) has established a new registry for patent, trade marks, utility model, industrial model and design licences, as well as for technology transfer agreements. The registry will be administered by INPI's Technology Transfer Department. 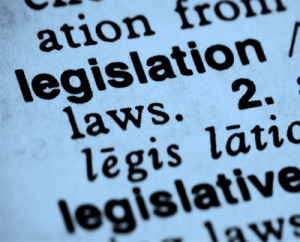 Under Resolution 117/2014 of 9 June 2014, registration of licence agreements is voluntary. However, registered licence agreement will be enforceable against third parties since the latter will be deemed to have notice of them. The new registration facility is available for both domestic licence agreements and those between Argentine licensors and foreign licensees. Although it is not explicitly so provided in the Resolution, the authorities have indicated their understanding that it will also apply to licence agreements executed between foreign residents. Scientology Church, ‘Prosperity’ and the Washington Convention: what do they have in common? For one reason or another, our society has become aware of the Scientology Church, which was founded in 1952 by L. Ron Hubbard, a writer of science fiction at the time. Some of us, in the legal arena, are perhaps more prompted to hear about the Scientology church. In the area of intellectual property we hear cases on copyright and trade secrets for example. The case that I read over the weekend in the newspaper La Republica caught my attention, since this time was about trade marks. • the existence of the registered mark ‘Prosperity’ belonging to Wise. This latter argument was examined by SIC. According to WISE, the sign requested “fall within the grounds of non-registrability” as established in Article 7 of the General Inter-American Convention for Trademark and Commercial Protection (Washington Convention). Colombia is a member of such agreement (in force since 1936) as well as many other Latin American countries and the United States. The convention is hosted by the Organization of American States. Mr Camilo Suarez, IP lawyer and an associate at prietocarrizosa firm explained that "trademark oppositions based on different rules to the Decision 486 are not as common”. He continues to explain that opposition based in other legislative provisions “are reserved for cases like this where very particular characteristics of internationality are imposed and they are exceptions to the principle of territoriality in trademark law.” In the same line, it is clarified that not only Decision 486 (CAN Common Intellectual Property Regime) is applied to protect brands, but also other legal instruments such as the Paris Agreement and the Washington Convention. Art 7 of the Washington Convention however requires that apart from demonstrating that the signs are similar, it must also prove that the applicant “had knowledge of the existence and continuous use in any of the Contracting States of the mark on which opposition is based upon goods of the same class”. WISE is the owner of the ‘Priority’ mark in the United States in class 16 of the Nice Classification. Jafer Ltd appealed to the decision arguing that the mark was cancelled for non-use in Class 16 of the Nice International in Colombia in 2013 ( Resolution 78474-2011). It also argued that there was no evidence that it had prior knowledge of the existence of that sign. The superintendent disagreed and the first instance decision was upheld and thus, granting “extra- territorial protection to the foreign trademark." By Resolution No 2005-2014/TPI, INDECOPI -- which serves as an appellate administrative body -- rejected a coexistence agreement filed by Nissan Motor Co in connection with its application to register the alphanumeric mark NP300 for "motor vehicles and parts thereof" in Class 12. 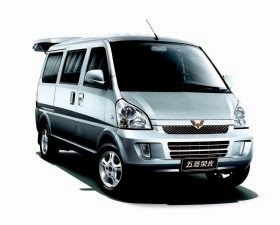 General Motors owned an earlier registered trade mark, N300, for "vehicles and parts thereof" in the same class, but had not opposed Nissan's application. The Peruvian Trade Mark Office considered the two marks to be confusingly similar and rejected Nissan's application. Nissan then appealed to INDECOPI, arguing that several trade marks containing the number 300 already coexisted in Class 12 (these being L300, R-300, T-300 and CROSSMAX CR 300). 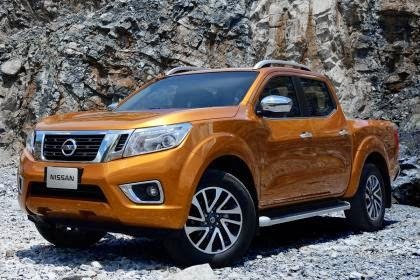 What's more, Nissan filed a coexistence agreement it had made with General Motors, under which the two car-makers pledged to take all necessary measures to avoid any likelihood of confusion among consumers when using the trade marks N300 and NP300. INDECOPI dismissed the appeal, referring to the Andean Community Decision 486 on a Common Industrial Property Regime, which requires trade mark law to protect the interests of consumers. Accordingly, even though the parties had entered into an agreement, consumers might be confused when seeing both trade marks since NP300 and N300 both looked and sounded pretty similar. Further, even though both parties said they would take all necessary measures to avoid any likelihood of confusion, they gave no clue as to what specific actions they had in mind. In a ruling earlier this year the Chilean Industrial Property Court overturned the decision of Chile's National Institute of Industrial Property (INAPI) and allowed the registration of the mark 1818 for products in Class 25. 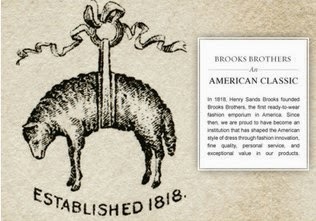 The applicant, Brooks Brothers Group Inc., sought to register the trade mark "1818" -- the year in which the original Brooks Brothers business was founded. Although this application was unopposed, it was rejected ex officio by the head of INAPI on the ground that it was contrary to Articles 19 and 20e of the Industrial Property Law (Law No. 19,039) because the term “1818” was non-distinctive or descriptive of the products in question. This is good news -- except perhaps for anyone who wants to register the number "8181" for goods in Class 25, which is identical to "1818! when viewed upside down. From Bucaramanga, Colombia comes an interesting case regarding the use of the trade mark ‘El Bambuco’ for the production of strings for musical instruments. In 1973, Mr Emiliano Navarro founded 'El Bambuco' a factory of strings for musical instruments. On 2011, before his death he leased the commercial property to one of his employees, Mr Salvador Suarez Gonzalez. When Mr Emiliano Navarro's son (Nelson Navarro Carreño) applied for the registration of the mark 'El Bambuco', Mr Gonzalez opposed to the application of the said trade mark on the grounds that the sign was identical to his and used for the same business. Mr Gonzales noted that for the last 3 years, he has sustained and built upon the reputation of the said mark. Additionally, Mr Gonzalez registered the company in the Chamber of Commerce of Bucaramanga. In October 2014, the Colombian Superintendence of Industry and Commerce (SIC) the second instance, revoked the decision made by the Directorate of Distinctive Signs (first instance) in which it refused to register ‘El Bambuco’ as a trade mark. SIC acknowledged that the sign has been used prior the application. However, such right of use was not evident in the lease contract. Mr Nelson Navarro argued that the lease was for the use of the premises rather than the mark. He also argued that the mark applied for has acquired a high level of recognition among consumers for the last 37 years (not the last 3 years). Another turn on this event was that the sign 'EL Bambuco' in class 15 was previously registered by Mr Emilio Navarro but he did not renewed the mark - expired in November 1996 (see this dossier here). SIC reviewed the evidence provided and determined that it was evident from the lease contract that the sign was existent and that the owner of the sign did not transfer its ownership to the tenant. SIC also heard evidence from two former employees of the factory who recognized that the original owner of the sign was Mr Emiliano Navarro. It was therefore concluded that Mr Gonzales “has always been aware” that the brand belonged to the landlord and that on his death, ownership passed to his heirs. Source La Republica (in Spanish). The Externado Intellectual Property Department organizes this seminar to discuss creative or entertainment industries, such as music publishers, recording producers, audiovisual producers, advertising agencies, musical artists and actors, among others. The theme will focus on providing an overview on the workings of the entertainment industry and the copyright challenges and opportunities presented, from a practical and theoretical point of view. The event will take place on 13 and 14 November [that's next week!] in the main campus of the University Externado of Colombia. All are welcome, of course. Peru is celebrating the 10th anniversary of its National Anti-Biopiracy Commission. The said Commission is chaired by the Peruvian National Institute for the Defence of Competition and Protection of Intellectual Property (INDECOPI). The Anty-Biopiracy Commission aims to protect the Peruvian genetic resources and traditional knowledge (TK). It does so by “tracking, identifying and combating biopiracy cases occurring worldwide and affecting cultural and biological diversity.” INDECOPI acknowledges that the Commission is unique in the world; it searches through patent offices in all countries in order to identify patents which may involve Peruvian biological products or Peruvian TK. Once this is identified, opposition to this application starts. If patent has already been granted, the Commission would applied for the patents to be annulled. Peru ratified the Nagoya Protocol which became effective last October (12th). Back in October 2013 the Colombian company ‘Two of You’ applied for the registration of the mark ‘Toy Two of You’ in class 3 of the Nice Classification (i.e. nail varnish/polish, nail art stickers, perfumes,among others). Once the application was published and no opposition was filled, the Superintendence (SIC) started to examine the registrability of the sign. At such stage, SIC encountered the registered mark ‘Toy Story’ in class 3 by Disney Enterprise. Due to this finding, the office believed that the signs were similar and thus, would cause confusion among the public. Therefore, the application was rejected on relative grounds of refusal Art 136 Andean Community (CAN) Decision 486. Two of you appealed to the decision arguing that the marks were not similar since they were orthographic differentiated, especially visually. While they shared the word 'Toy' there were other element that differentiated them. The appealed succeed and the mark ‘Toy Two of you’ have been successfully registered (Dossier No 13246132). Hace dos años tuvo lugar la designación del INAPI de Chile como ISA/IPEA en el marco del Patent Cooperation Treaty (PCT). El 22 de octubre mediante un acto público con presencia de autoridades políticas se dio inicio oficial a las operaciones como Administración Encargada de Búsqueda y Examen Preliminar Internacional (ISA /IPEA), en el marco del PCT, pasando a ser una de las 19 oficinas de PI que asiste a los solicitantes en busca de protección internacional por patente y a las Oficinas en las decisiones sobre el otorgamiento de patentes. 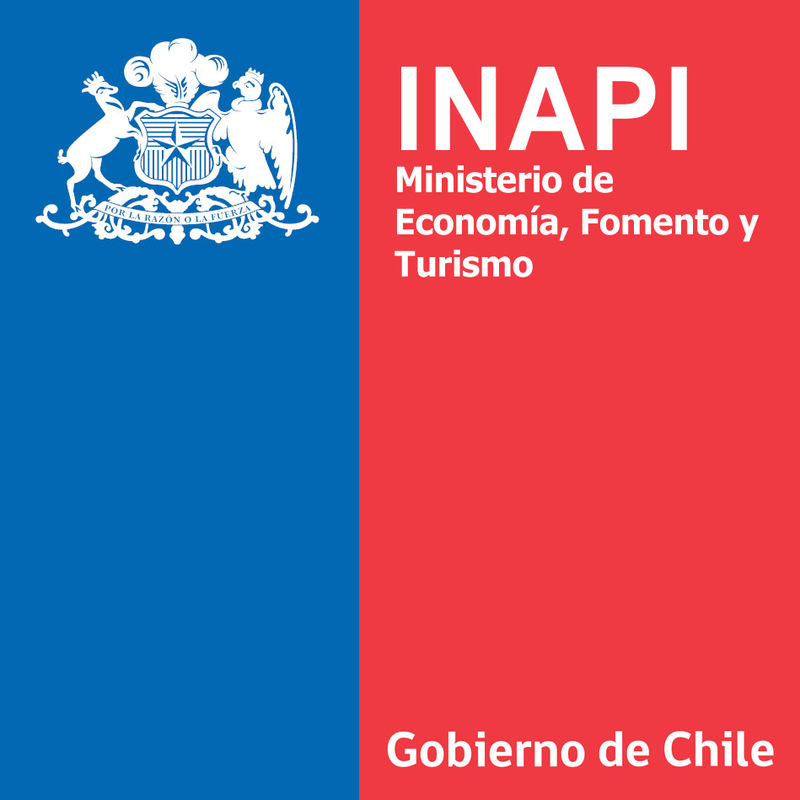 Chile se convierte en el segundo país de la región, junto con la Oficina de Brasil, con capacidad para de desarrollar informes internacionales de patentabilidad. Según destacó el Director Nacional de la institución Maximiliano Santa Cruz “nos hemos preparado durante dos años para asumir este rol, capacitando a nuestros examinadores, adquiriendo bases de datos de información tecnológica y mejorando nuestros sistemas de control de calidad. Estoy seguro que estaremos a la altura de la responsabilidad que nos entregó la comunidad internacional”. On July this year the American well-known coffee brand Starbucks launched its first store in Colombia. But, before launching its store it applied for the registration of some of its trade marks at the Colombian Superintendency of Industry and Commerce (SIC). While the nominative and graphic marks for Starbucks did not encounter any issue, the same cannot be said for its nominative mark ‘Shared Planet’ applied to be registered in classes 30, 36 and 41 respectively. Despite the fact that there was not opposition for the mark to be registered SIC proceeded to examine the sign in accordance with Art 150 Decision 486 of the Andean Community (i.e. “At the expiration of the period stipulated in article 148, or if no objections have been filed, the competent national office shall proceed to conduct the examination of registrability.”). By doing so, SIC found that the mark was similar to a previous registered one i.e. ‘Sharé’ (Dossier No 03 085665) registered back in September 2003 to Mr Martinez in class 30 Nice Classification (coffee, tea, vinegar, condiment sauces, etc) and therefore, rejected the said application for just that class. SIC granted to Starbucks the nominative mark ‘Shared Planet’ in classes 36 and 41 after the company appealed to the decision. In the opinion of Ms Calderon, a lawyer from Prietocarrizosa, "this is a very complex case as there are reasons to believe that the signs have substantial differences that would not allow a consumer to get confused between them, but on the other side it is clear that the main elements of both signs are quite similar, hence, understand the position of the SIC to deny registration ". It is noticeable from the dossier that the expiration date is/was 30 April 2014 and thus, up to today there has not been renewal of the said mark. However, SIC grants a grace period of 6 months and thus, Mr Martinez do have until 30 October to renew its mark – otherwise, after this day, it would be free to grab. Nevertheless one might remember that according to Art 153 Decision 486 of the Andean Community, the owner of a registered trade mark or any party with a legitimate right “shall be given a grace period of six months following the date of expiration of the registration in which to apply for renewal.” Moreover, the “registered trade mark shall retain its full validity over that period.” That said, and using the same statement as Mr Mendez, ‘in strict legal sense’ Mr Martinez still have a legal base for its mark to be protected and for SIC rejecting the said application from Starbucks. 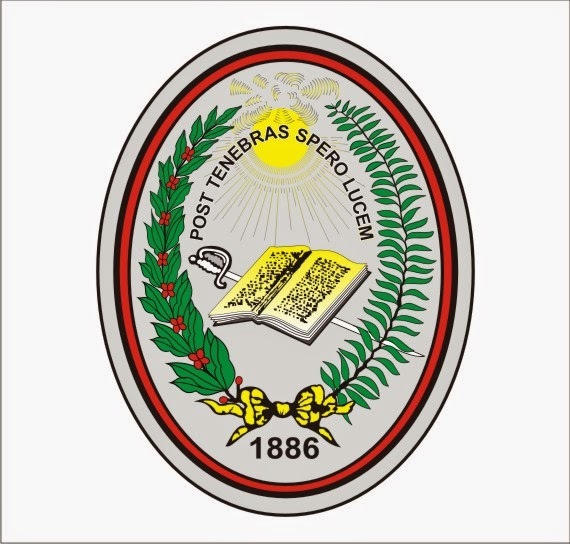 The Brazilian Instituto Nacional da Propiedade Industrial (INPI) is now facilitating access to online search system of trade marks, patents, industrial designs, and computer programs. It all started last Tuesday, October 14. There is a direct link and thus access to the database without going through login/password page. However, if you would like to have access to a wider content and thus, production of documents, you should register. This latter appears to be a straightforward and easy process i.e. just filing out certain details – as far as I am aware nothing to do with ‘payment/fee’ details as the Venezuelan IP office requires (see previous post here). Registration, while not crucial, comes divided into three sectors: 1.- Client (natural or legal person domiciled in the country); 2.- Lawyer or Attorney without special qualification (representing a client in the requested services); and 3.- Industrial Property Agent. This new addition complements previous online services such as: ‘e-marcas, electronic view of petitions, and ‘push’. At the end of September Natalia Franco Onofre posted the good news on IP Tango that trade mark registration in Colombia was now taking place more swiftly, with registration in six months becoming a reality. It now seems that, following implementation by the Colombia Trade Mark Office of Administrative Resolution 48348, the average time for registration has dropped to four months. This is clearly good news for trade mark applicants. Source: "COLOMBIA: Trademark Registration Now Takes As Little As Four Months" by Jorge Chávarro (Cavelier Abogados, Bogota), published in the INTA Bulletin, October 15, 2014, Vol. 69, No. 19. 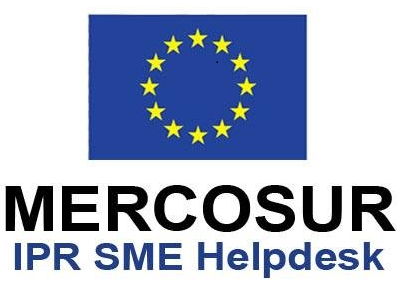 El Mercosur IPR SME Helpdesk ofrece de forma gratuita una primera línea de asistencia en temas relacionados con Propiedad Industrial e Intelectual y derechos de PI con el objetivo de facilitar la expansión de las PYME europeas (PYME de la UE y de los países asociados a la UE) que ya están instaladas, o trabajando con entidades de MERCOSUR y Chile, así como a aquellas potencialmente interesadas en emprender actividades comerciales y de I+D+i en estos países. También cuenta con la colaboración y participación de diversos Expertos Senior de Mercosur, Chile y otros países latinoamericanos. Mercosur IPR SME Helpdesk proporciona información, formación, así como asistencia personalizada y gratuita en materia de derechos de PI en MERCOSUR y Chile, a través de una completa serie de servicios y actividades, como por ejemplo una línea de ayuda “Helpline” (asistencia online y oficina física en Brasil), la publicación de documentos, noticias y eventos, actividades de formación, etc. Para mantenerse al día de lo que pasa en el mundo de la propiedad intelectual con un enfoque orientado a la pequeña y mediana empresa en Latinoamérica, y especialmente en Argentina, Brasil, Chile, Paraguay, Uruguay y Venezuela, os recomendamos suscribiros a su Newsletter y seguirlos en Twitter, LinkedIn y YouTube. The government is also said to have announced that it is reviewing the position, and proposals to amend the Criminal Code and restore criminal penalties for IP are currently under consideration by the National Assembly. This blogger is somewhat alarmed at the cavalier manner in which such an economically important measure as the provision of criminal remedies for certain IP infringements has been treated: perhaps the Ecuador government is unaware of the damage caused to legitimate business interests and ultimately to its own tax revenue by inadequate IP enforcement measures. 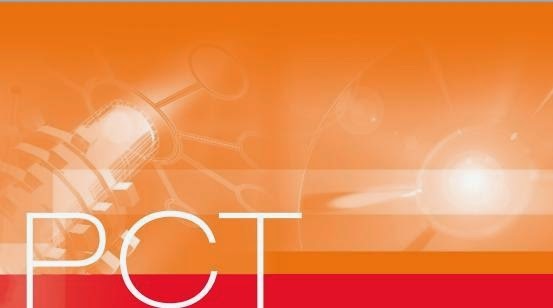 Source: "ECUADOR: IP Infringements Decriminalized", INTA Bulletin Vol. 69, No. 18 (information contributed by Maria Cecilia Romoleroux, Corral Rosales Carmigniani Perez, Quito). The Colombian Superintendence of Industry and Commerce (SIC) received an application to register the word mark ‘Lavomatic’ in Class 9 of the Nice Classification i.e. digital recording media, cash registers, apparatus and instruments for conducting, switching, transforming, accumulating, regulating or controlling electricity, and the like. UNILEVER is the owner of the word mark ‘Lavomatic’ in Class 3 i.e. bleaching preparations and other substances for laundry use; cleaning, polishing, scouring and abrasive preparations; soaps; perfumery, essential oils, cosmetics, hair lotions; dentifrices. Consequently, while the word marks were identical, the goods were neither identical nor similar (as required by Art 136(a) Decision 486). SIC further stated that when comparing the products no direct or indirect relationship would generate the public/ consumer to be confused – “consumers will be in the ability to identify and individualize one from the other and recognize that [the products] belong to different entrepreneurs." However, UNILEVER claimed that its mark was ‘well-known’ and submitted evidence such as: investment of d $2,000 million in the period between 2011 and 2013 on advertising and promotional activities; revenues of $ 11,876 million in 2011, $ 29,000 million in 2012. It requested its mark to be declared ‘notorious’. After examining the evidence, SIC ruled that ‘Lavomatic’ by Unilever is a well-known trade mark and thus, the opposition action was successful under Art 136(h) Decision 486. Venezuela: encouraging to register trade marks? The Venezuelan Intellectual Property Office (SAPI) informs in its webpage the ‘good’ news that it has officially computerized the trade mark search for phonetic and graphic signs. I was excited to read the title and eager to start browsing around as I always do with my students when we cover the topic of trade marks, however…well it is not that simple (time or money wise). According to the information provided, the computer aspect of it refers to the following: service request and deliver of the information is done via e-mail -- that’s it! 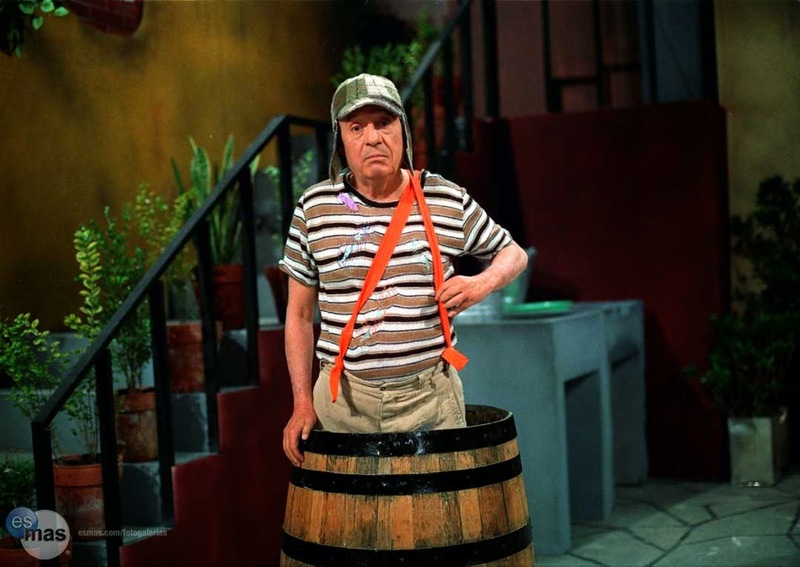 Yet, SAPI’s Director said that the “new system via internet searches, is a significant advance in the quality of service that we provided to users, and is due to the instruction of [Venezuelan] President Nicolas Maduro: Efficiency or Nothing." When looking at the webpage and the process this is also noticed: “This search allows you to request a certain number of searches ...depending on the amount deposited in the bank”. The deposit ought to be done 24 hours before the search is allowed. After you do so, you will be able to use the search ‘computer’ service by submitting all details regarding the deposit (about 6 questions are asked here about the money) and you will then submit the phonetic and/or graphic trade mark you would like to search for. Finally, you will receive an email within 48 hours after application to give you the results of the search. The cost of a search for phonetic marks is 169.00 Bs for each class you want to search. 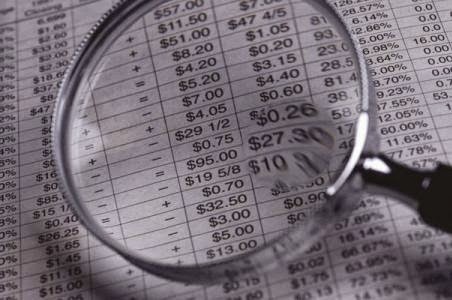 The graphic marks cost of search is 113.00 Bs per class. How much is this, actually? The new daily minimum wage in Venezuela is 141.71 Bs…so, you do the math…no economical at all. What this really means is that you will have to skip a couple of your daily bread if you want to use this ‘quality service’ provided by the institution. It is wrong to believe that trade marks are only for wealthy business/people. Moreover, it is recommended to register a trade mark from day one – so, before you get any return or gain from your business. The price instead of motivating small business to register, it is actually deterring them from doing so. And regarding the President’s slogan ‘efficiency or nothing’, well…it is open to debate. The Colombian Superintendence of Industry and Commerce (SIC) as the authority for Industrial Property used to take approx. 63 months (more than 5 years) to grant a patent. Due to this delay, the office has been working towards speeding the request for patents and today, the average has been reduced to 24 months (2 years). It is said to be the third quickest office to grant patents after China and South Korea. Going further, the Government issued Decree 1873 of September 29, 2014, in order to compensate in the event of a possible unjustified delay in the patent application process. However, the said compensation “does not apply to inventions on pharmaceutical products”. Compensation is fixed as follows: for each day of ‘unreasonable delay’ in processing the patent, an additional day will be granted, counted from the last day of validity of the patent. That is, the compensation is 1 day of delay for 1 day of additional protection. SIC’s inspector Mr Robledo said the “Decree constitutes an additional guarantee of protection to inventors, both domestic and foreign." 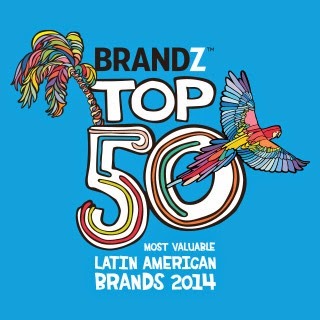 Millward Brown ha hecho público su informe BRANDZ – 2014 Top Latin American Brands, el cual nuevamente es encabezado por la marca mexicana de cerveza ‘Corona’, la cual tiene un valor de 8.025 millones de dólares (USD). La segunda marca de la región fue la cerveza brasileña Skol, que alcanzó un valor de 7.055 millones de dólares. El tercer puesto quedó en manos del retailer chileno Falabella, con un valor de 6.084 millones de dólares. Respecto del ranking de BrandZ de 2013, Corona mantuvo la posición, pero Skol y Falabella registraron mejoras. Skol se había ubicado tercera y Falabella, quinta. El top 50 concentra un valor de 129.200 millones de dólares, un 5 por ciento por debajo del ranking de 2013. Si se suma el valor de todas las marcas que lo componen, el portafolio significa el tercer valor del BrandZ Top 100 de las marcas globales más valiosas, justo debajo de Google y Apple. 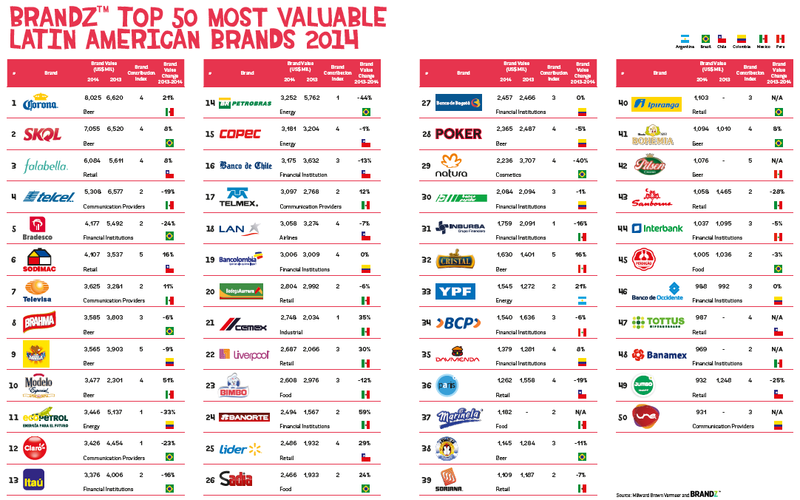 El ranking completo de las Top 50 marcas puede consultarse aquí. The Court of Appeal of Rio Grande do Sul (TJ-RS) has decided on Sept 24th that the multinational Monsanto has the right to charge royalties regarding the transgenic soy-bean from Brazilian farmers. The decision, rendered in a split decision by the 3 member panel from the 5th Chamber of the Court of Appeal, reversed the first instance decision granted in 2012 that had considered inadequate any payment or indemnification based on the use by farmers of the soy-bean seed "Roundup Ready (RR)". The opinion of the Reporter Judge is that the application of the Brazilian Plant Variety Law (Law 9456/1997), as demanded by the claimants, is not possible. Thus, being the Brazilian Patent Law (Law 9279/1996) applicable, Monsanto has the right to claim royalties regarding the reproduction of patented seeds through planting and harvesting while the patent (PI 110008-2) is valid. In 2009, some rural workers' unions from southern regions in Brazil filed a class action arguing that Monsanto’s charge for royalties is effectively an unjust tax based on abuse of IP rights. Furthermore, that Art. 10 of the Plant Variety Law allows them to multiply seeds, for donation or exchange in dealings. In 2012, the 15th Civil Court of Rio Grande do Sul had accepted the claimant’s claims and also ordered Monsanto to return the royalties paid from the 2003/2004 harvest. 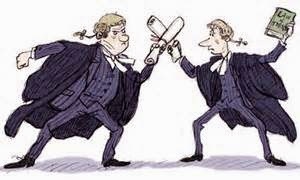 The Court of Appeal’s decision is not yet final and an appeal to the superior courts is still possible. Monsanto’s luck in Brazilian courts has not been the best in recent years. As IP TANGO have already mentioned before, in 2013 the Brazilian Superior Court of Justice (STJ) denied Monsanto’s claims to extend the term of the patent for genetically modified soy-beans, confirming that the patent expired on August 31, 2010. It is hard to determine now if this decision shall impact the decision on an appeal against the lawsuit in the State of Mato Grosso. However, this decision might discourage other producers from pursuing similar claims. The first instance decisions in Rio Grande do Sul and Mato Grosso also seems to have encouraged neighbour countries such as Paraguay to complain about Monsanto’s charging practices (for more see Filomeno, F. A. (2014) Monsanto and intellectual property in South America) and this decision might alter this scenario. Brazil is currently the largest soy-bean producers in the world. Brazil is also the second largest producer of transgenic soy-bean, just after the U.S. Therefore, we can expect this discussion to continue for a while. Al año se presentan en Chile 30.000 solicitudes de registro de marca nueva, 4.000 de las cuales reciben una demanda de oposición. En igual período se ingresan 150 demandas de nulidad ante el INAPI. En estos juicios marcarios las partes pueden aportar medios de prueba para demostrar sus pretensiones sin perjuicio que en la tramitación no contenciosa los interesados puedan acompañar pruebas para bondad de sus solicitudes. En este contexto probatorio las partes acompañan al INAPI especies y objetos tales como llaveros, prendas de vestir, ejemplares de productos que contienen líquidos, caramelos, chocolates, artículos de joyería, entre otros. Este tipo de pruebas requieren contratar bodegaje externo para almacenarlas para evitar el riesgo de pérdida, extravío, detrimento, corrupción o deterioro en su proceso de traslado y conservación. Por esta razón (según se expone en los considerandos previos) el INAPI dictó una resolución administrativa (Circular Nº 3 vigente desde 4.9.2014) para reglamentar la forma de acompañar estos medios de prueba al expediente. 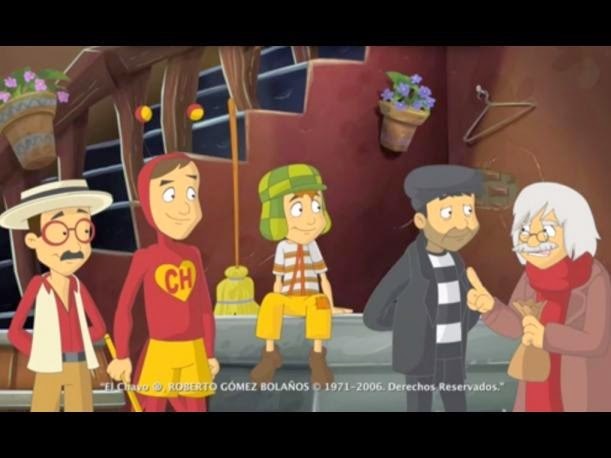 Como cuestión previa debe considerarse que el INAPI como servicio público está regulado conforme los arts. 6 y 7 de la Constitución especialmente por la ley 20.254 (que establece sus fines y atribuciones). Su Director Nacional (art. 4) tiene facultades normativas otorgadas en los siguientes términos por la norma de competencia: "(f) Dictar resoluciones administrativas que se refieran a los derechos de propiedad industrial, aquellas que se refieran al funcionamiento interno del instituto...". Y según reza el título de la resolución ("Informa procedimiento interno...") se habría dictado la norma en base a esta última atribución legal específica en conjunto con normas generales procesales (art. 12 L. 19.039 y 1 y 3 CPC), de buen funcionamiento administrativo (L. 19.880) y por evidentes razones prácticas. No obstante, del tenor de la Circular aparece que los efectos o consecuencias normativas no sólo son internas (en el sentido de regular únicamente la organización interior del ente público) sino también externas, pues regula algunas conductas obligatorias de los particulares en su relación con el INAPI con afectación de derechos procesales. Se trata, en definitiva, de normas reglamentarias, que bien pueden ser materia de la facultad del literal (e) del art. 4: "Proponer al Ministerio [...] las iniciativas legales y reglamentarias referentes a la propiedad industrial". 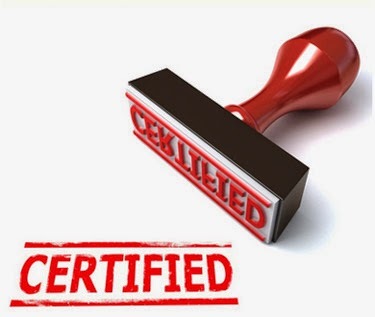 Certificación fotográfica de los objetos acompañados. El procedimiento consiste básicamente en que si se solicita tener por acompañado un objeto, debe ser fotografiado al momento de la recepción del escrito. La fotografía se imprimirá y se certificará por la secretaria abogado el hecho que representa fielmente el objeto que se pidió acompañar, mediante determinado escrito y que se tuvo a la vista. Las impresiones de estas fotografías se adjuntarán al escrito en que se enuncia la respectiva prueba, para seguir su curso de digitalización y procesamiento normal. Esta fotografía, será digitalizada conjuntamente con el escrito y pasará a formar parte del expediente almacenado en los bancos de datos de INAPI. La especie será devuelta al interesado en el mismo acto. Si el interesado insistiere en entregar la especie como prueba, podrá hacerlo, pero en ese caso deberá firmar una declaración liberando a INAPI de la responsabilidad por eventuales pérdidas, extravíos, detrimento, corrupción o deterioro de ésta en el proceso de traslado y almacenamiento de las mismas. INAPI conservará e integrará dentro del expediente las fotografías de los productos y si lo estima necesario podrá acceder a ordenar la exhibición de la prueba original -especie(s)- en caso que algunas de las partes así lo solicite, por motivos fundados. Deber de acompañar materialmente, individualizar completa, correcta y ordenadamente las pruebas que se soliciten tener por acompañadas. Establece la obligación de toda persona que acompañe documentos o pruebas ante INAPI de individualizarlas en forma correcta, completa y además adjuntarlas materialmente según el orden de prelación consignado en el escrito en que se individualizan. En caso contrario se ordenará la subsanación -conforme lo mandatado por la Circular- dentro de un plazo, pudiendo tenerse los documentos ofrecidos por no presentados a través de la dictación de la correspondiente resolución. Formalidades para solicitar tener a la vista pruebas ya acompañadas materialmente ante INAPI en otro expediente. Sólo se accederá si el interesado individualiza con los siguientes datos: 1.- Cada uno de los antecedentes que se solicita tener a la vista; 2.- El expediente en que se acompañaron materialmente; 3.- La fecha del escrito que los acompañó; y 4.- La fecha de la resolución que los tuvo por acompañados. En caso contrario se ordenará la subsanación dentro de un plazo, pudiendo tenerse los documentos ofrecidos por no presentados a través de la dictación de la correspondiente resolución. Formalidades para solicitar tener por acompañadas pruebas ya acompañadas materialmente ante INAPI en otro expediente. Distingue entre las pruebas que estando en poder de INAPI son solicitadas tener a la vista en un nuevo asunto, y aquellas pruebas que estando en poder de INAPI son solicitadas se tengan por acompañadas en un nuevo asunto. INAPI no accederá a la petición de que se tengan por acompañados documentos que ya estén en su poder dentro de otro expediente, sin que se acompañen materialmente copias de los mismos por el interesado al juicio o procedimiento en que se desean hacer valer. Sí se accederá, sin necesidad de que se acompañen copias, a la petición de tenerlos a la vista, siempre que se cumpla con los requisitos individualizados en el párrafo anterior. 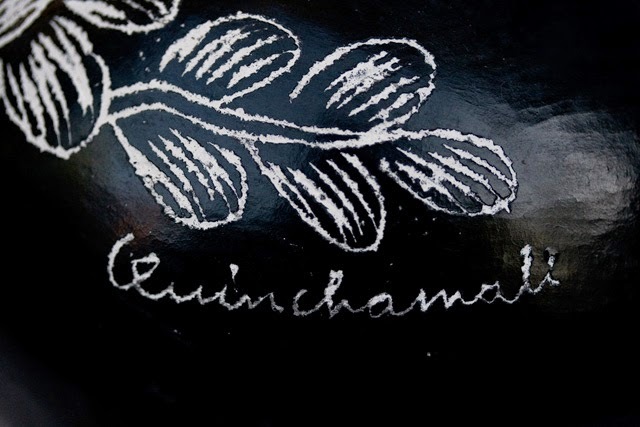 At the end of August 2014, Bolivia achieved the recognition of ‘Quinoa Real’ (Quinoa Royal) as Denomination of Origin (DO) in the Andean Community (CAN). 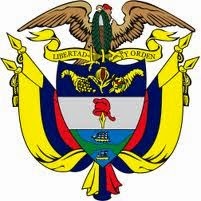 This means that the DO is also recognized by the other Andean Community Nations i.e. Peru, Colombia and Ecuador. 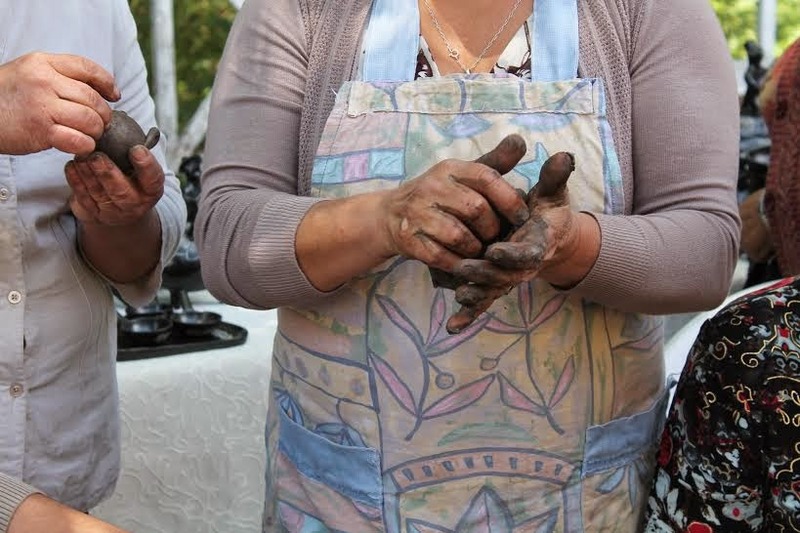 In 2013 Bolivia celebrated the ‘International Year of Quinoa’ -- declared as such by the United Nations in recognition of Andean indigenous peoples. There are several types of Quinoa (grain crops) which are produced in other Andean countries, but with this recognition, there will be only one ‘Quinoa Real’ and this is the one produced 100% in the Bolivian territory. According to Decision 486, which is CAN communal regime in Intellectual Property, there are two types of Geographical Indication: DO and Indication of Source. Apart from this, there are certain issues regarding GI that are not common in other jurisdictions such as : such denominations are said to be “... a public good, it belongs inalienably and imprescriptibly to the nation or regional community, as the case may be, and its protection is usually the responsibility of the public authorities or the State...it is considered part of the national heritage, and ultimately under State control" [See 'Some Notes on the Protection of Appellation of Origin in Countries with Emerging Economies: The Andean Community, Symposium on the International Protection of Geographical Indication]. The other one issue is that GIs receive stricter protection like the one received by wines and spirits under TRIPS. CAN has acknowledged DO to PISCO from Peru and now this is the time for another CAN country to have such a prestige. One might question why there have not been many applications (not even nationally). 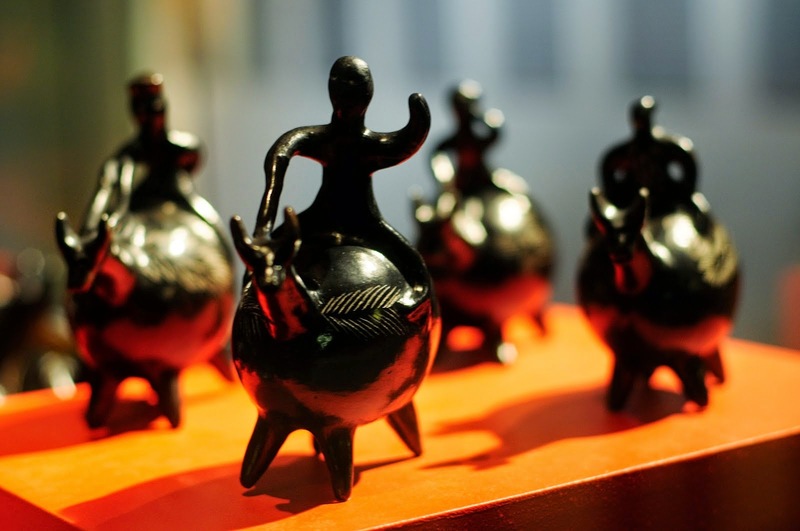 The consideration could start with the fact that many of the products that may be recognized are either agricultural products or artisan and most of them come from traditional knowledge. That said, the community that have produced the good would need to ask permission to the State to use a name that they believe is theirs in the first place (as in the case of CHIRIMOYA CUMBE, Memoria 1992-1999 INDECOPI, Lima, Perú.) Of course the analysis could also covers other matters such as: bureaucratic process and the lack of monetary resources, to name a few. The next step: the Bolivian Ministry of Rural Development announced that the next challenge is to apply for a DO in the European Union. El pasado 11 de agosto de 2014, el Superintendente De Industria y Comercio de Colombia, Doctor Pablo Felipe Robledo, expidió la Resolución No. 48348, por medio de la cual se regula la posibilidad de solicitar la concesión de un signo distintivo en menos de seis (6) meses. De acuerdo con la mencionada Resolución, un solicitante interesado en obtener el registro de una marca en un plazo inferior a seis (6) meses, contados desde la fecha de solicitud de la misma, deberá realizar tal petición de manera expresa en el formulario de registro o, en caso de solicitudes que ya estén en trámite, radicar un complemento de información, sometiendo el acto administrativo a la condición resolutoria tácita. Así las cosas, en el evento en que se invoque un derecho de prioridad que se viera afectado por el registro concedido en el acto administrativo correspondiente, será obligación de la Superintendencia de Industria y Comercio declarar su decaimiento o pérdida de ejecutoria. Teniendo en cuenta lo anterior, el formulario de registro PI01-F01 ha sido modificado incluyendo tal solicitud. Conozca aquí la nueva versión. Coca-cola: are the big companies always the winners? The Colombia Superintendence of Industry and Commerce (SIC) ruled in favour of Coca-Cola in a recent opposition proceedings. The action brought was against Mr Moreno who applied for the registration of ‘Chevicola’ for beers, sodas, waters and other soft drinks (Class 32 Nice International Classification). By Resolution No. 64160, the opposition proceeded in favour of the international drinks giant and rejected the application for the sign ‘Chevicola’. Mr Moreno appealed to the decision arguing that the trade mark was a combination of words and moreover, the noun ‘Chevi’ was the predominant word and not ‘cola’. That said, there was no likelihood of confusion. Additionally, Mr Moreno argued that the global appreciation test, i.e. the ‘orthographic, phonetic and conceptual’ differences, allowed ‘Chevicola’ to be a distinguished sign from that of Coca-cola. According to lawyer Hernán Ruiz, an expert in Colombian IP law, who disagrees with the decision, the appreciation of the two marks was based on what was similar rather than different. He asked: what would the consumer believe? Will they be confused as to the origin? However, here is important to bring into attention "Word trademarks must be compared pursuant to the following rules:... Rule 4. The similarities, and not the differences, existing between the trademarks must be taken into account" . Lawyer Ruiz extended as to say that he would have found a more ‘justified opposition’ by Chevrolet Chevy (however, in this hypothetical case as the products were dissimilar the action would not be as the same as in the present case. i.e. similar marks for identical products. In such hypothesis, it would be similar marks for dissimilar products and this action could be brought if it is a reputable mark Decision 486 Art 155 (e)). The article that I read with this information have a headline indicating that ‘the giant is the winner’. It reports that a few months ago, the Coca-Cola Company won another opposition procedures against Postobón Alpina. Do you agree with what the headline implies? what about the decision: is Chevicola similar to Coca-cola? or is SIC giving too much monopoly to the international company over the word 'cola'?